7.7 acres and eight buildings in the Flats with intentions of mixed use redevelopment creating a new neighborhood in the heart of our city. Acquired 30,000 plus square foot building on the Cuyahoga River in the historical flats section of Cleveland, Ohio. Leading a group of investors to the complete redevelopment/renovation and tenanting of the property built in the 1890s. Oversight of leasing, acquisition, tenant relations, design, forecasting, financing. This is an excellent owner/user opportunity. A 46,000 SF building for sale or lease with fantastic highway access and close proximity to inexpensive parking. 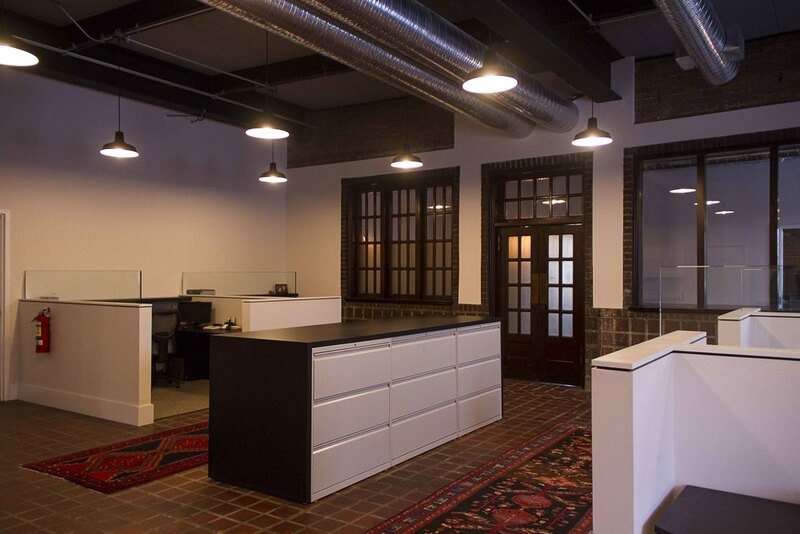 11,500 SF of beam/brick space per oor and $15/SF base rent. Signage and naming rights available for this property right off the I-77 at E. 9th street. Initially called into consulting with client to remodel office space for a fast growing steel company. Led to expansion into existing 100 plus year railway terminal station. J Scheer offered design work, budgeting, contractor oversight and construction management. This resulted in beautiful offices enhancing the workplace environment and creating a good investment for both the business and the property owners as well. Transformed a dilapidated Tennis Center into a state of the art State Accredited Adult Day Care facility with hospital type systems. Ground up construction including design work for multifamily condominiums. Create 75+ vacation/rental properties with in Punta Gorda, Florida. Complete renovation and upgrading of a 90 year old strip center in inner ring suburb of Cleveland,attracting new tenants for a long term investment. Acquired at sheriffs auction with partnership and spearheaded renovation work along with deferred maintenance in order to reposition property with credit tenants thus enhancing ownership value.